Nintendo Download for December 8, 2011. A new 3D downloadable leads the way for Nintendo's weekly download! A company name of, iFun4all? That reeks of low quality, though I don't know at all for sure. Just judging a book by their cover. Whoa, Pushmo was today? YES! Buying that for sure! BRAAAAAGH! I can't stand his reviews. "I'm the focus. The game is just beside me for added effect." (And he's said as much to me on GoNintendo) Even though the content of his reviews are generally good, I can't watch MammaMia for 13 minutes or so. Yeah, you guys are lucky. I read that the game has online leaderboards based on your 3DS friend list, which is pretty cool. Here, Pushmo pushed Zen Pinball out of the picture for now. Pushmo pushes everything into the background. Pushmo both pushes and pulls. Pushmo does all. I'll probably download it after some breakfast. It should've been called Pushpullmo. I'm not buying! Maybe he pushes more than he pulls? You know, Push Mo' (like more)?... though that lengthy video review realllllllllllly disproves what I said. In EU it's called PullBlox. Nintendo must think NA likes to push and EU likes to pull. Is this a stab at OP Rainfall? I like the tutorial where it says you have to push and pull repeatedly. Hot. I heard in Korea it'll be called TugJob. I need to nab the Kirby's Adventure 3D Classic and Super Mario Land 2 myself. I'm only up to 1-14, and I've already had one puzzle make me think for a bit. I can't wait to see how they make these even more complex as you progress to the higher levels. This just feels like the perfect downloadable 3DS game. It's easy to pick up and play, and has so much content that it'll definitely last me quite a while. Should we have an official thread for these? 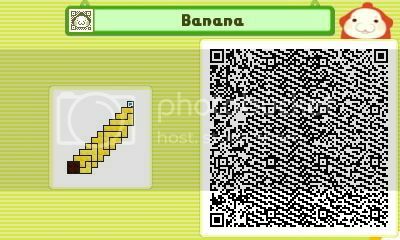 Nah, it actually does look kinda like a banana, heh. Oh and for those wondering, you can use http://img.ly to upload pictures straight from the 3DS. I think you need a Twitter account to use it though... but for what it is, it's convenient enough! Wasn't there a way that was supposed to be easier to upload pictures from a past firmware update?